Is it too early to talk about how much I like these? I hope not. 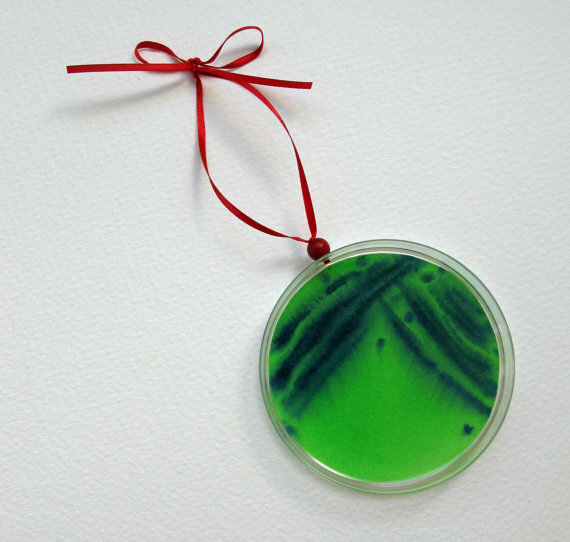 Please note these are not actual bacteria, but watercolor paintings sealed in resin inside real petri dishes.